A classic dish of French family and bistro cooking. It's both simple and good. 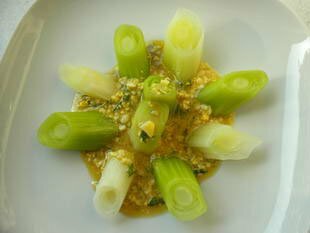 The secret lies in cooking the leeks until they are only just tender, so that they keep their lovely green colour. The special vinaigrette includes herbs and hard-boiled eggs.